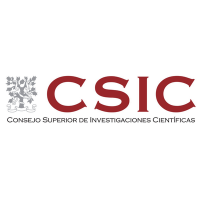 The Spanish National Research Council (CSIC) is the largest public institution dedicated to research in Spain and the third largest in Europe. Its research is driven by its 71 centres and institutes (more than 13,000 staff including 3,300 of staff researchers). CSIC has 6% of all the staff dedicated to Research and Development in Spain, and they generate approximately 20% of all scientific production in the country. CSIC has considerable experience in both participating and managing R&D projects and training of research personnel. Under the 7th Framework Programme CSIC has signed 724 actions (including 62 coordinated by CSIC and 45 ERC-projects). In funding, CSIC is listed the 6th organisation in Europe in the 7th Framework Programme. As to the number of projects signed by CSIC within each programme, the distribution is People 36,4%, Cooperation 32,1%, Capacities 25,2% and Ideas 6,3%. If we take into account funding, the ranking would be different: Cooperation 45%, Ideas 28%, People 19%, Capacities 8%. In addition, CSIC presents a large participation in other European programmes such as LIFE+, INTERREG, EMRP, RFCS, ERANET, etc. The Biological Research Centre (CIB) is one of the research centres with greater prestige and tradition in CSIC, and has been at the forefront of biological research since its creation in 1953. The current multidisciplinary character of the CIB has made it a point of reference for the formation of new scientists and technicians, perfectly qualified for their inclusion in laboratories of the best international institutions and enterprises. At present the CIB is made up of approximately 560 professionals including staff researchers, contracted researchers, scholarship and PhD students, as well as other professionals dedicated to administering and maintaining the Centre. The scientific works are organised in five departments: Environmental Biology, Cellular and Molecular Biology, Chemical and Physical Biology, Cellular and Molecular Medicine, Molecular Microbiology and Infection Biology. CIB is located at the Complutense and the Polytechnical Universities campus of Madrid. Jointly with CIB-CSIC, this campus was selected by the Spanish Ministry of Science and Innovation as one of the recently created International Campus of Excellence (http://www.campusmoncloa.es/en/campus-moncloa). As a consequence, the CIB has extensive human and material resources for the execution of this proposal. The Polymer Biotechnology Group is part of the Department of Environmental Biology of the CIB and aims to explore and exploit the bacterial abilities for producing and degrading plastics in order to contribute to planet sustainability. CSIC, partner of P4SB, leads WP4 (Product formation and diversification) and WP7 (Multi-tiered model-based design) and participates also in WP1 (Project management and coordination), WP5 (Product release) and WP8 (Dissemination and exploitation). The group of Dr. Prieto will apply its expertise mainly on PHA bio-technology (WP4) and model-based design for molecular engineering of P. putida for more efficient PHA-production and functionalization (WP7), synthetic-based PHA-recovery processes (WP5). 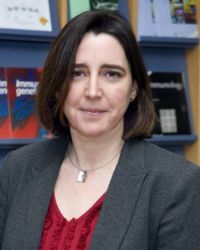 Dr. M. Auxiliadora Prieto is staff scientist at CSIC and leads the Polymer Biotechnology Group at CSIC-CIB. Her group has developed many techniques to approach basic and industrial problems on the fields of bio-plastics, bio-materials and bio-production. She has huge experience in microbial metabolism for the molecular characterisation of pathways related to bio-synthesis and bio-degradation of bio-products. The significance of the research developed in Prieto´s group is reflected in highly-cited publications in leading journals, as well as in collaborations with other scientists from top institutes all over the world. Dr. Prieto has participated in, led and coordinated national (11) and international projects (4), devoting her effort to the production of bio-polymers in microorganisms, addressing this subject from different approaches to cover both basic and applied aspects. Dr. Prieto is main inventor of five international patents related to P4SB, three of them licensed to bio-tech SMEs dedicated to the production of bio-plastics. Maria-Tsampika Manoli is a PhD student of Dr. Auxiliadora Prieto and Dr. Juan Nogales in the Faculty of Pharmacy, UCM. 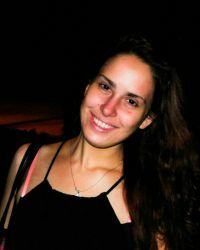 Maria-Tsampika completed her undergraduate studies from the Kapodistrian University of Athens in 2014 with a degree in Biology and received her M.Sc in Pharmacy from the UCM in 2015. Since 2015, she is an active part of the P4SB project, working on the task 7.4.